Chilling Adventures of Sabrina is an American supernatural horror web television series produced by Netflix, based on a comic book series of the same name. The series tells the story of character Sabrina Spellman who is a half witch and must chose between good and evil when she comes of age. On her 16th birthday, she must reconcile her dual nature as a half-witch, half-mortal while fighting the evil forces that threaten her, her family; and the daylight world humans inhabit. The first ten episodes of the series were released in October 2018. Upon its launch, the series mostly received positive reviews. Performance of the lead character, as well as the premise, visuals, and directing was well praised. Netflix has already renewed the series for a second season of 16 episodes, which will also be split into two parts. I just watched this show after reading all the positive reviews and couldn’t tell what all the praise was all about. This is a terrible series that disappoints at almost every level; and you will start to feel like you were wasting your time before even you will watch the half of it. When I started to watch this series, I was really hoping it would be awesome with some great effects and magical tales; but it turned out to be quite the opposite of awesome. I watched it all in hopes that it would get better, but it didn’t. The acting of every actor was absolutely terrible. The lead girl that plays Sabrina was the worst of them all. There is absolutely no chemistry between the actors at all; and their expressions remain wooden throughout the show. Episode after episode, the show continues to remain boring. Half the dialogue is exposition. They constantly tell us story points instead of showing. The writing and dialogues was the worst part of the show. It is absolutely horrible and cheesy. There is meant to be suspense when there is none. You can’t care about any of the characters, it doesn’t help that all the plot points are so painfully predictable. Save yourself some headache and give this show a pass please. Expression, dialogues, acting, story, music; everything about this series is annoying and you will start to feel angry at the person who wrote this crap. 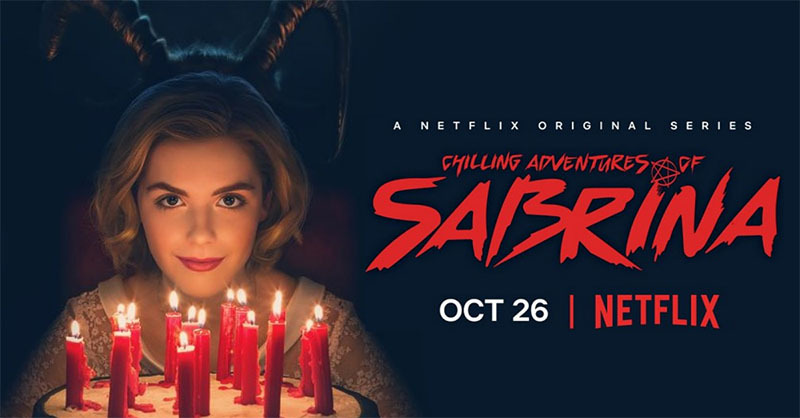 There are plenty of other shows on Netflix that you can try; but Chilling Adventures of Sabrina is just a waste of time. I am shocked to hear that Netflix decided to renew this piece of garbage for a second season.